Almost ready for market. Only two more coats of Tung oil to go. Every chair begins with three logs. In this case it was one white pine, one ash and one maple. Each log was generously donated by friendly neighbors. Anyone interested in a timeless heirloom chair, please contact me through my website. 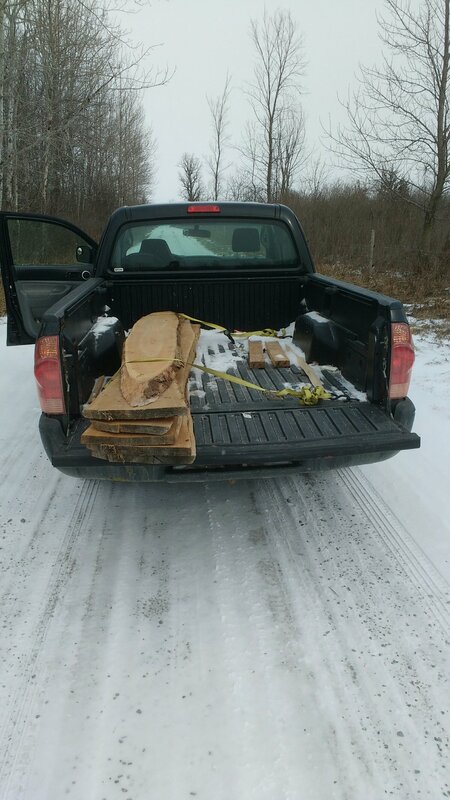 I spent the morning on Sunday picking up a maple log from a neighbor. It has perfectly straight grain which is well suited to making chair legs. Straight grain means strong legs. The log was then hand riven ( like splitting kindling) into square billets which I will then turn ( green) on the lathe into chair legs. square billets. Straight grain is so nice to work with. 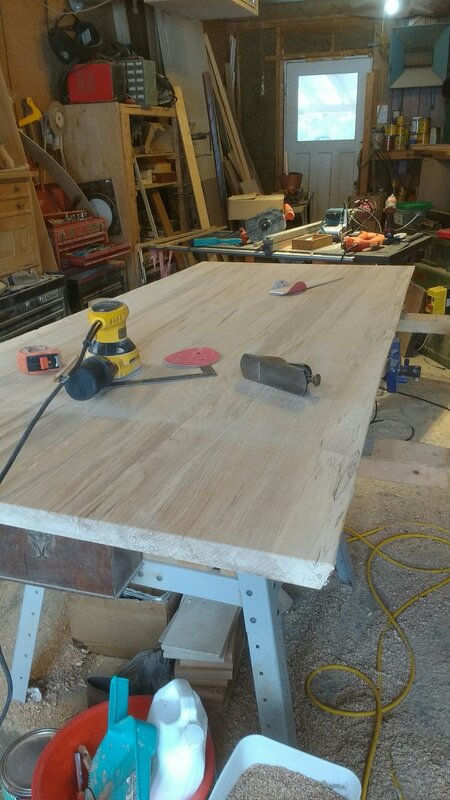 Pub style dining table is next! Live edge cherry is always exciting! Dashing through the snow with a spalted live edge table. Oh what fun it really is. This stool, commissioned in Brockville, is now delivered to customer. Coming along nicely! Almost time for delivery! This client found me in the Farmers Market. I'm excited to announce the website re-fresh. It should be live by Thanksgiving. Stay Tuned!